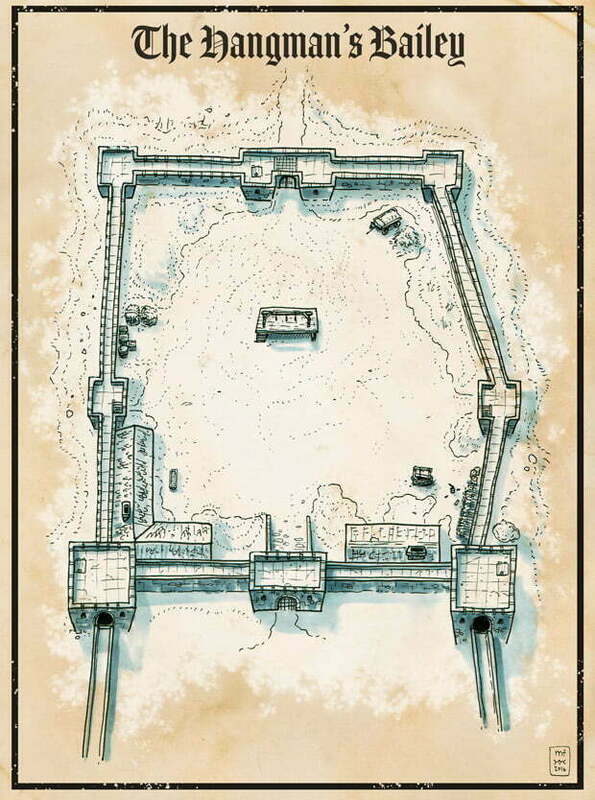 The Hangman’s Bailey is an encounter map with a single bailey with a hanging platform and it is designed to be a part of a larger castle structure. When I started working on this I thought that a map depicted straight from top would look a bit boring, so I decided to try this approach instead. For this map I also had to study a bit how are the medieval castles actually built and structured. To be honest I had never really thought about it before. Of course I had seen pictures of castles and even visited a few, but I did not understand why they were built like they are. Anyway, this map was good practice overall.